Providing extreme freshness and protection for 48 hours, the new ‘actgard’ technology fights perspiration, odour producing bacteria and wetness, leaving you confident and fresh all day. Love norsca since way back in the 70/80. Can't find it in the uk and so pleased we found it here. Been buying ever since. It's a great deodorant. 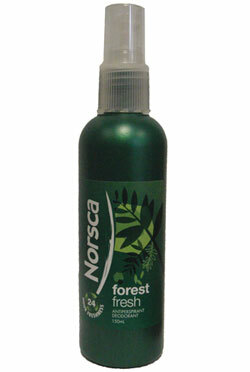 Fresh and no dust as its liquid as non aerosol so it all goes where you spray it, no dust and no white clothing marks. Dries super fast and lasts for ever. Brilliant stuff just wish a little cheaper. Really great for freshness and dries quickly.